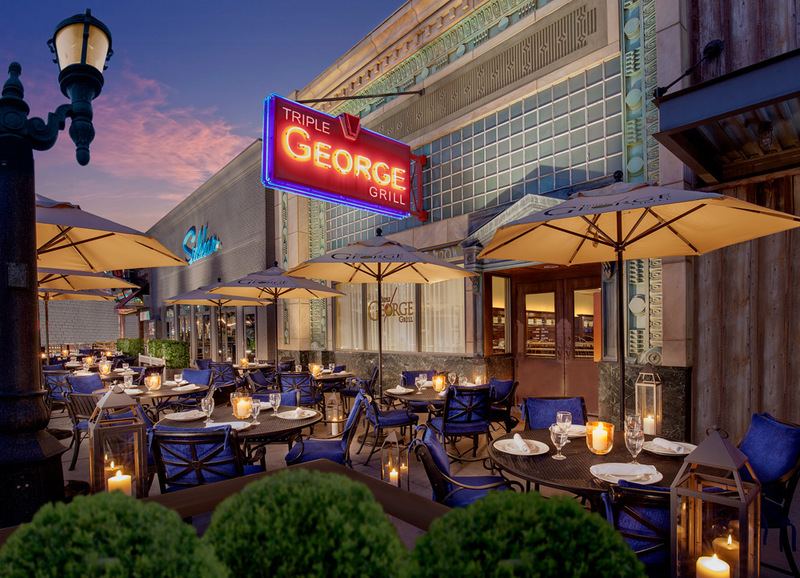 Downtown Grand is located on Third Street between Stewart and Ogden avenues in downtown Las Vegas, just steps from The Mob Museum and two blocks from Fremont Street Experience as well as a short stroll from the hip bar scene in the Fremont East Entertainment District. 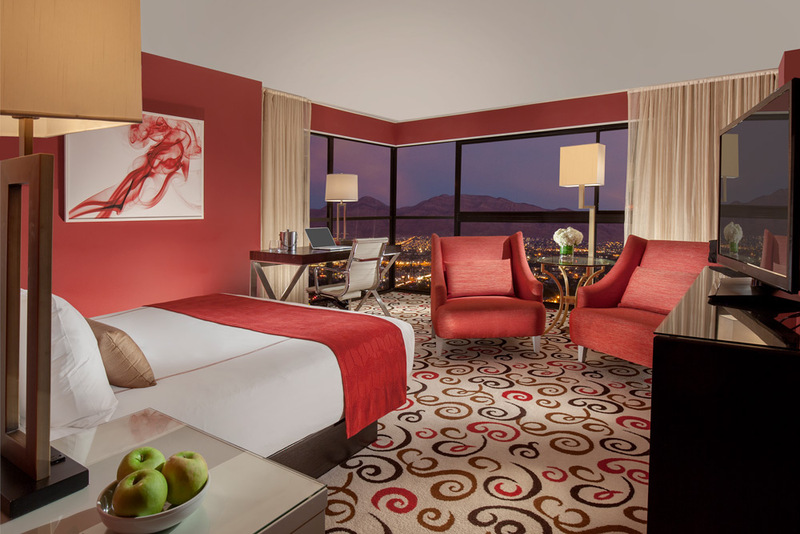 The hotel is also less than a mile from shopping at the Las Vegas Premium Outlets - North and cultural events at The Smith Center for the Performing Arts. 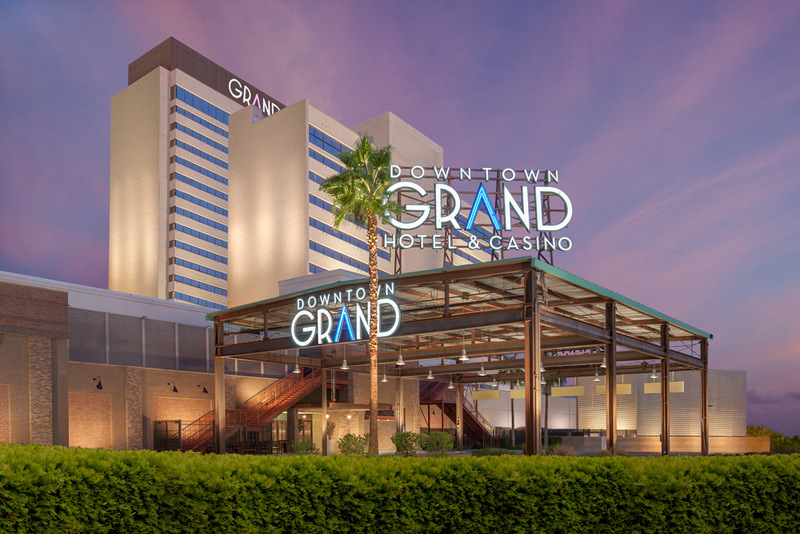 Downtown Grand is comprised of two towers -- the 17-story Casino Tower (east) and the 25-story Grand Tower (west), which are joined by an elevated walkway. Together, they house nearly 630 rooms and suites that range in size from 350 to 1,200 square feet. 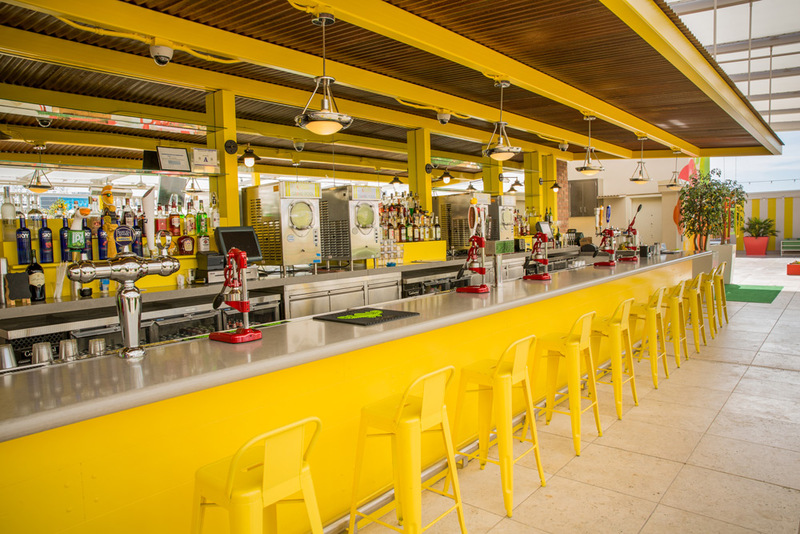 All of them provide sophisticated and stylish accommodations for downtown visitors. 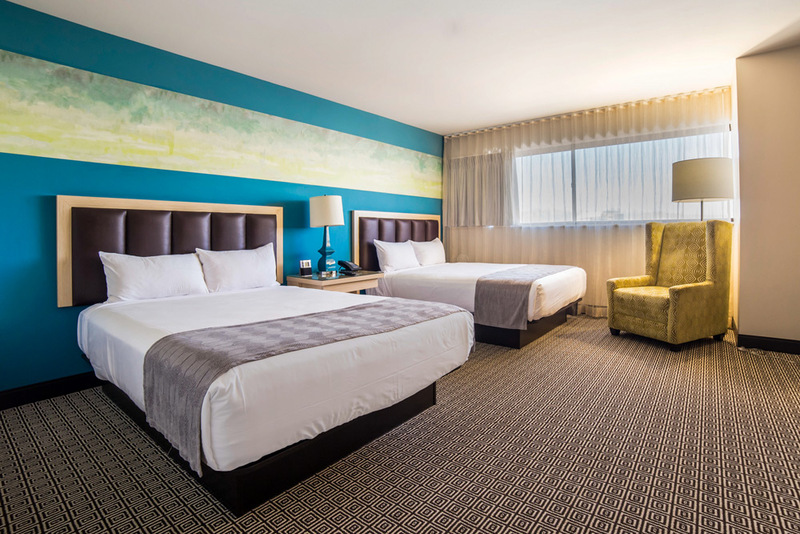 Guests will also enjoy flat-screen high-definition TVs with cable channels, Serta Presidential pillowtop mattresses, down pillows, alarm clocks, work desks and convenient standard and USB power outlets. The bathrooms are contemporary with either showers or combined shower/tubs as well as hair dryers and environmentally friendly amenities. 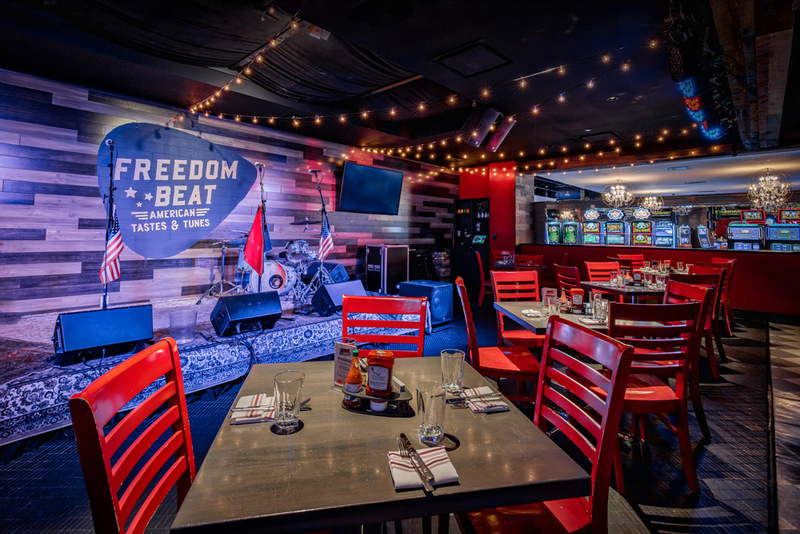 Among Downtown Grand's dining offerings is a stylish bistro called the Freedom Beat. The Ninth Island, a shave ice and daiquiri bar from Hawaii, has also set up shop on this side of the Pacific Ocean. 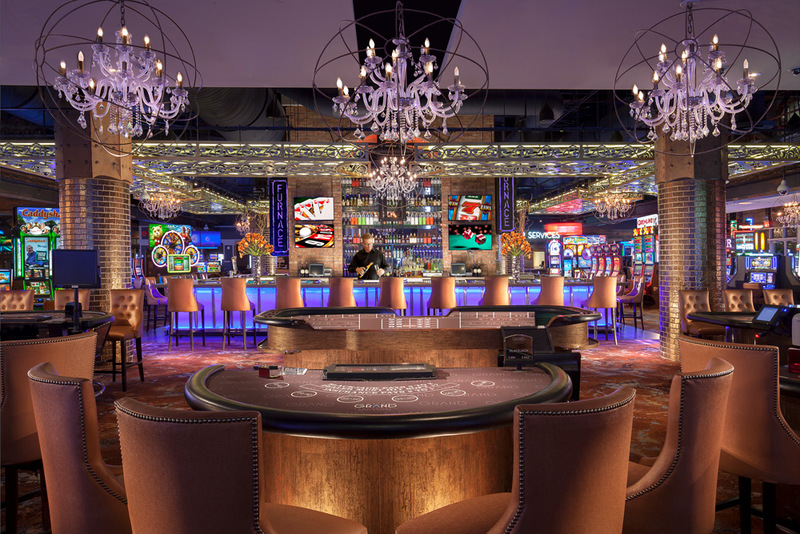 At night, you'll find a lively scene in Downtown Grand's casino bar Furnace or the Art Bar, which also serves small bites. And that's not all. Downtown Grand is at the heart of a much bigger neighborhood: the 10-acre, four-block district known as Downtown3rd, aka "dt³." Downtown3rd aims to offer visitors and locals a pedestrian-friendly, entertainment-oriented experience. 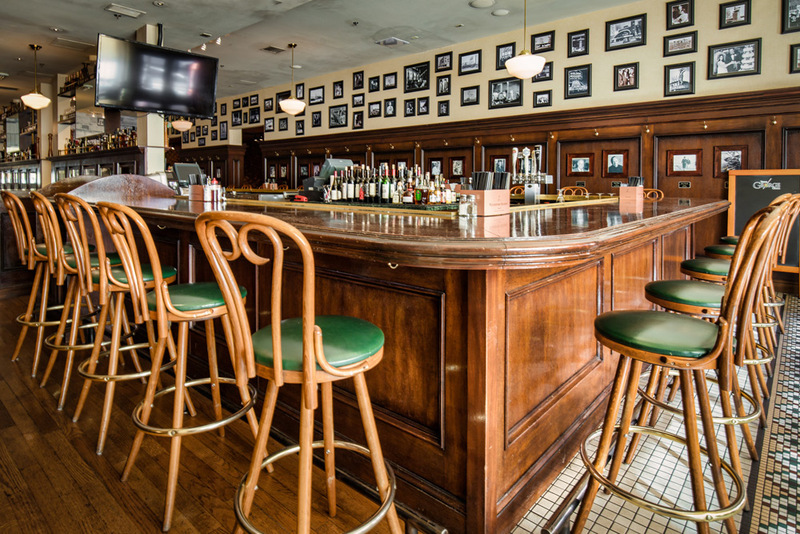 Presently, it consists of the cool drinking and dining joints Triple George Grill, Hogs & Heifers Saloon and Pizza Rock. 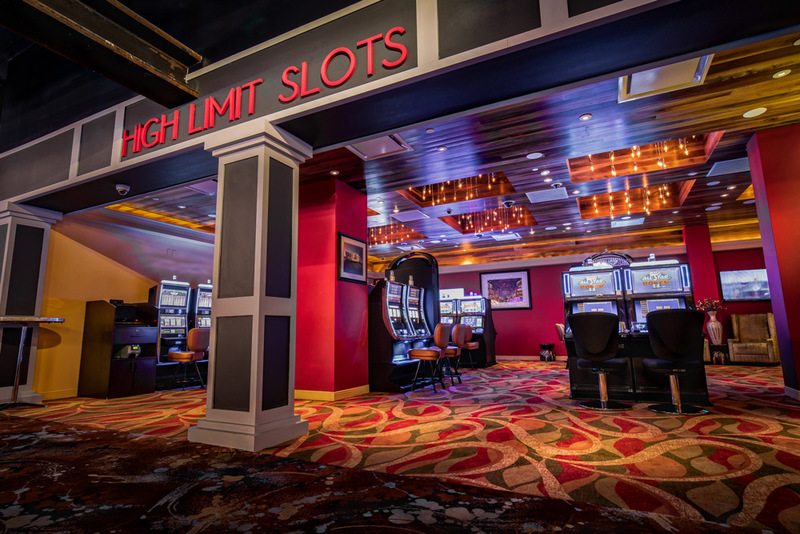 Yes, a 30,000-square-foot casino. 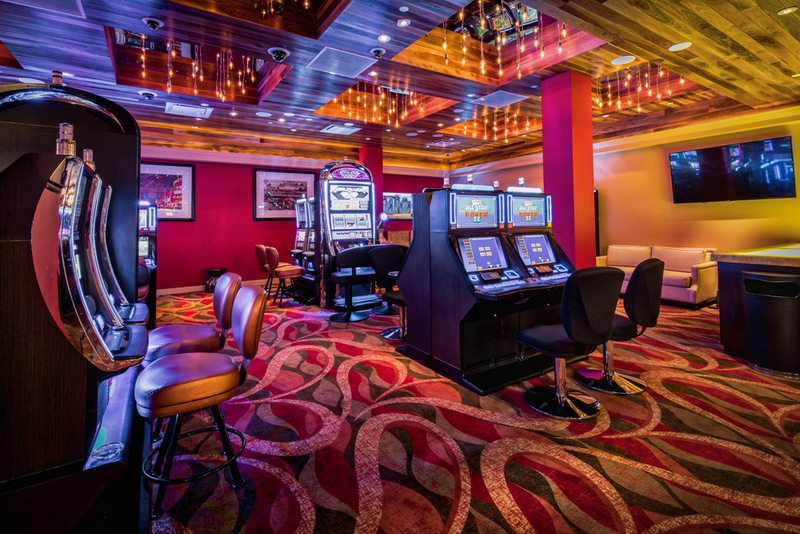 There are more than 30 tables games including an 888 baccarat pit and 600 slot machines. Yes, the William Hill Sports Book at Downtown Grand. 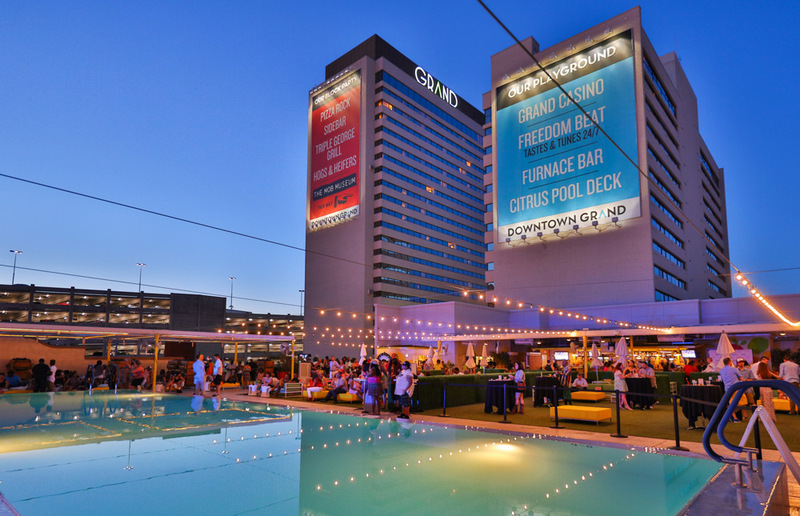 Downtown Grand has the following dining options: the Freedom Beat, The Commissary, Art Bar and The Pool Deck (open on a seasonal basis). Yes, daily at Freedom Beat and Friday and Saturday on the casino stage. Yes. There is Furnace in the center of the casino, Art Bar near the registration desk, and Freedom Beat across from the Sportsbook. Yes, Downtown Grand is part of the Downtown3rd experience. In the neighborhood, right across the street, is The Mob Museum. 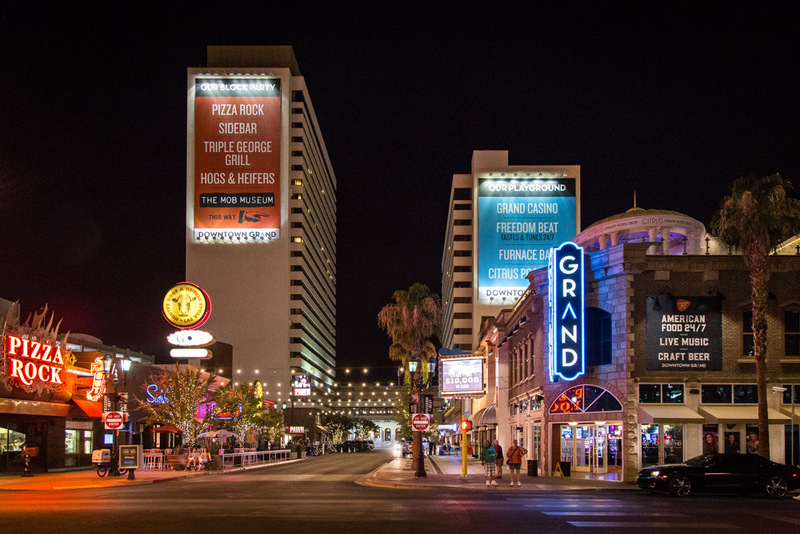 Downtown Grand is a short block from the Fremont Street Experience and the Fremont East Entertainment District. It is also less than a mile from Las Vegas Premium Outlets - North and The Smith Center for the Performing Arts. 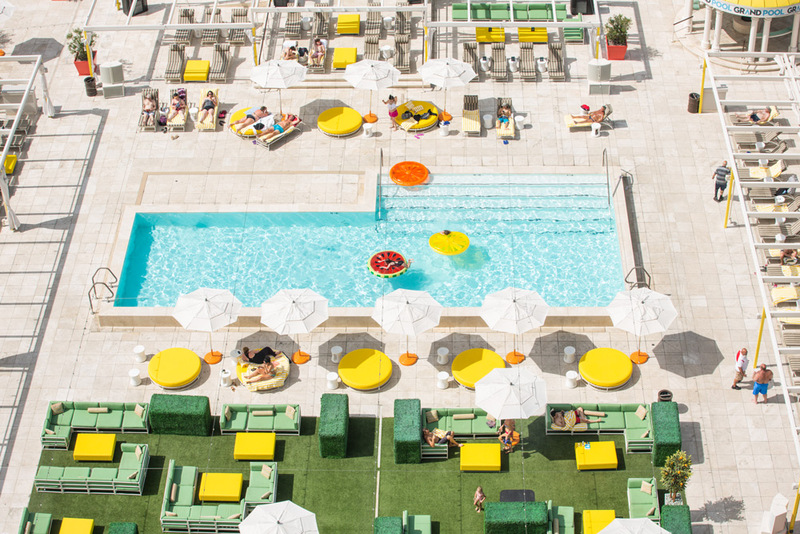 Yes, one outdoor rooftop pool (open seasonally) with a lunch menu, a bar, a fire pit and cabanas. Yes, the guest-only fitness center is furnished with state-of-the-art equipment. No, but there are numerous shops and kiosks along Fremont Street. The Las Vegas Premium Outlets - North is also less than a mile away. No, but business services such as printing, faxing and mailing are available at the front desk for a fee. 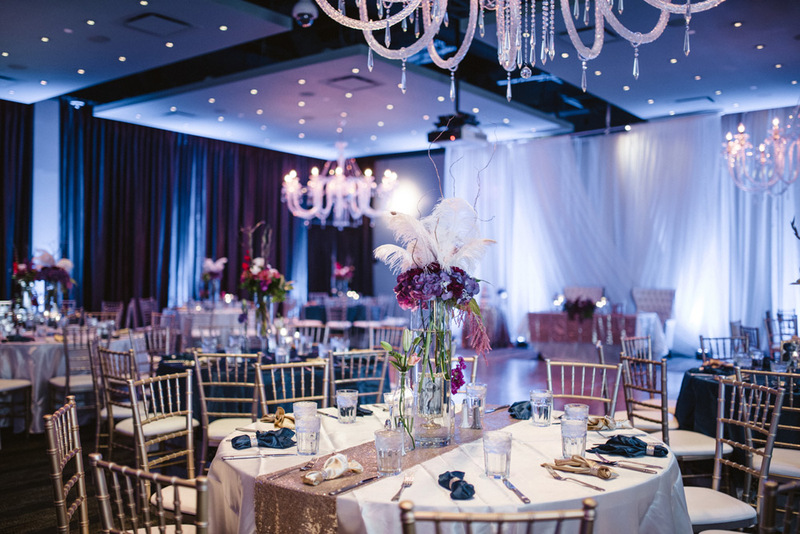 Yes, Downtown Grand features a variety of meeting facilities (including the Grand Parlor and Picnic) that can host events from 5 to 1,500 people. 24-hour front desk and luggage service. Yes, there is a self-parking garage on the premises. Valet parking is also available for $7 per night. Parking at the Downtown 3rd garage across the street is free with validation. No, but shuttle service to and from the airport can be arranged from an outside company for a fee. No, but there are nearby stops for the Deuce and SDX Strip & Downtown Express, which have routes covering the Strip. 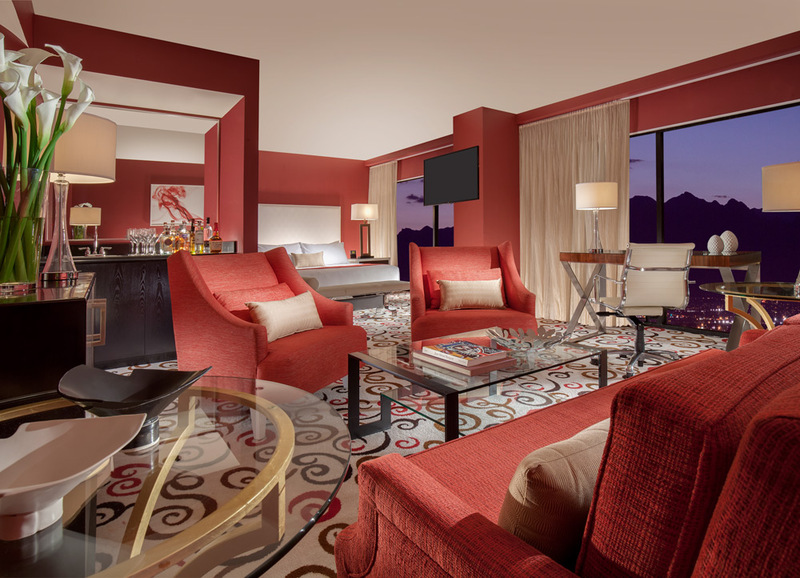 The maximum total number of guests (adults and children) in a room ranges from two to four. 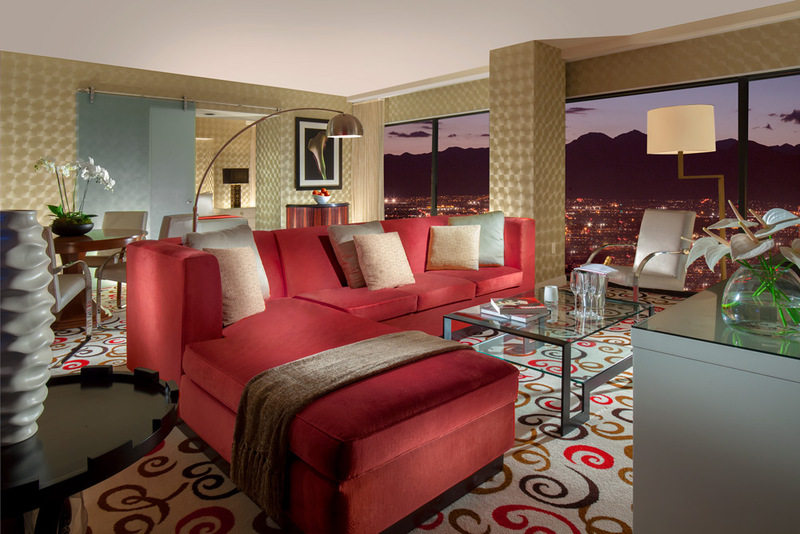 The maximum total number of guests in a suite varies. 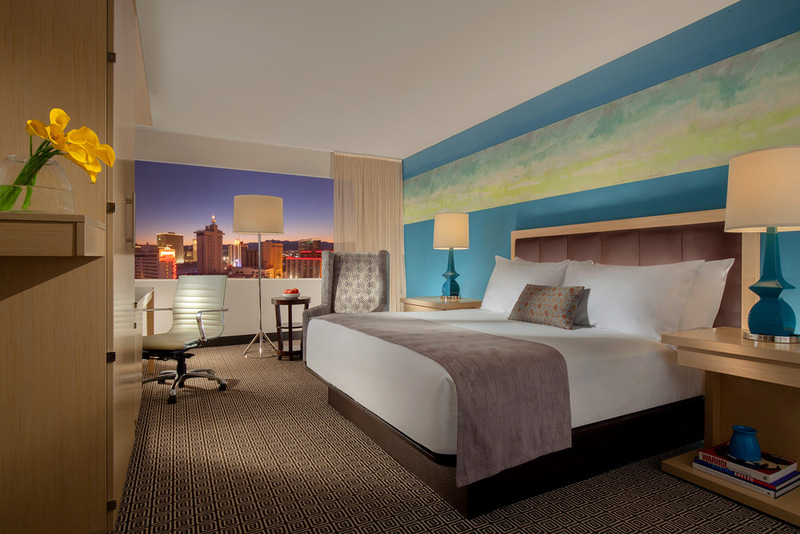 Resort fee Downtown Grand Casino and Hotel has a $25.99 per room, per night resort fee. This fee is not included in your reservation and will be collected by the hotel. Complimentary self parking (there is a charge for those not staying at the property). Complimentary bottled water upon arrival. "Grand Experience" book filled with discounts at hotel outlets. Free local and toll-free calls. This 350-square-foot room has two queen beds with Serta Presidential pillowtop mattresses and down pillows. Among the amenities are a flat-screen high-definition TV with cable channels and pay-per-view programming. There's a work desk as well as convenient standard and USB power outlets. Smoking is allowed in this room. The bathroom has either a shower only or a shower/tub combo and features environmentally friendly amenities. This 460-square-foot room has one king bed with a Serta Presidential pillowtop mattress. 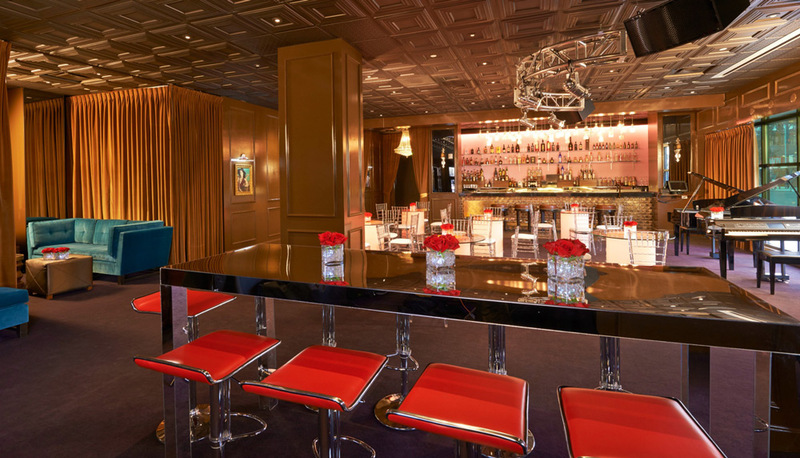 The richly colored décor has an Asian feeling. Among the amenities are a flat-screen high-definition TV with cable channels and pay-per-view programming. There are two armchairs and a work desk as well as convenient standard and USB power outlets. Smoking is allowed in this room. The bathroom has either a shower only or shower/tub combo and features environmentally friendly amenities. This 350-square-foot room has two queen beds with Serta Presidential pillowtop mattresses and down pillows. Among the amenities are a flat-screen high-definition TV with cable channels and pay-per-view programming. There's a work desk as well as convenient standard and USB power outlets. This is a nonsmoking room. This 460-square-foot room has one king bed with a Serta Presidential pillowtop mattress and down pillows. 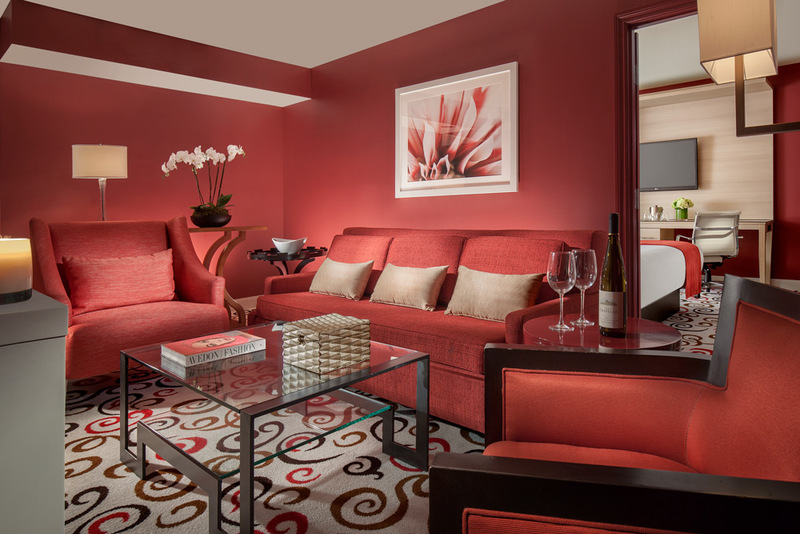 The richly colored décor has an Asian feeling. Among the amenities are a flat-screen high-definition TV with cable channels and pay-per-view programming. There are two armchairs and a work desk as well as convenient standard and USB power outlets. This is a nonsmoking room. The modern bathroom has either a shower only or shower/tub combo and features environmentally friendly amenities. This 350-square-foot room has one king bed with a Serta Presidential pillowtop mattress and down pillows. Among the amenities are a flat-screen high-definition TV with cable channels and pay-per-view programming. There's a work desk as well as convenient standard and USB power outlets. This is a nonsmoking room. This spacious 680-square-foot suite has one king bed with a Serta Presidential pillowtop mattress and down pillows in a separate sleeping area. The richly colored décor has an Asian feeling. Among the amenities are a 46-inch flat-screen high-definition TV with cable channels and pay-per-view programming. The furnishings include armchairs and a work desk. The modern bathroom has a shower only and features a stylish sink and environmentally friendly amenities.